Brazilian Federal police working alongside French investigators have searched the house of Carlos Nuzman as part of an investigation into the bidding process for the 2016 Olympic and Paralympic Games awarded to Rio de Janeiro. Nuzman, President of both the Bid and Organizing Committee for Rio 2016, is accused of involvement in a scheme in which $1.5 million was used as an attempt to solicit the votes of International Olympic Committee (IOC) members in return for supporting the Brazilian bid which was awarded the Games in 2009 in Copenhagen. 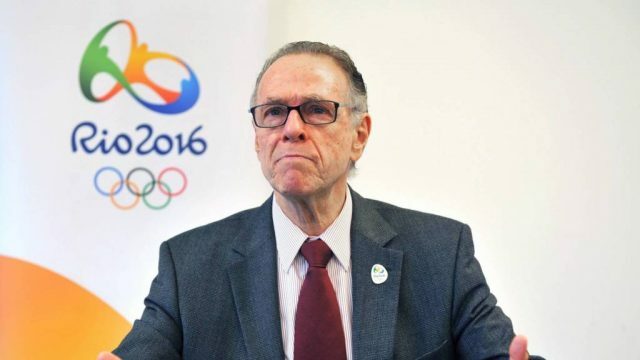 The house of Nuzman, an honorary member of the IOC and President of the Brazilian Olympic Committee, was entered today in the Leblon region of Rio de Janeiro and searched extensively. A warrant has also been issued for businessman Arthur Cesar de Menezes Soares Filho and his assistant Eliane Pereira Cavalcante. The new information has emerged as part of the sprawling Lava Jet investigation into Brazilian corruption. A new probe, called “Unfair Play”, has been launched in which ” criminal scheme involving the payment of bribes in exchange for the hiring of outsourced companies by the Government of the State of Rio de Janeiro” is being investigated. In a statement sent to Brazilian newspaper Estadao, police said that an order was issued by Federal judge Marcelo Bretas. They revealed that 70 Federal police officers are serving two warrants and 11 search warrants. New information has been shared with French prosecutors, who reportedly had representatives present during the arrest. According to another Brazilian newspaper, O’Globo, Nuzman is specifically suspected of “brokering the votes of African members of the IOC”. This concerns the same $1.5 million figure reportedly paid by a company linked to Soares to a firm set-up by Papa Massata Diack, the son of Senegal’s former IOC member and International Association of Athletics Federations (IAAF) President Lamine Diack. “The investigations revealed a large-scale system of corruption around Papa Massata Diack, son of Lamine Diack, IAAF president and influential members of the IOC,” confirmed the French Prosecutors Office today. According to O’Globo, police have seized money amounting to $153,000 from Nuzman’s house. This was reportedly split into at least five different currencies. The 75-year-old has also been ordered to hand over a Brazilian passport and ordered to testify at the Federal Police Headquarters in Rio tomorrow. It has been reported that police were unable to find the second Russian passport that he was suspected of holding. Nuzman, a member of the IOC Coordination Commission for Tokyo 2020, is denying wrongdoing. “I can confirm that [Nuzman] did not commit any irregularity,” his lawyer Sergio Mazzillo said. Rio de Janeiro was named as host by former IOC President Jacques Rogge in Copenhagen on October 2 in 2009 after defeating Madrid, Tokyo and Chicago. The IOC has requested to be fully informed of any developments. “This investigation by the Brazilian authorities is part of the broader ‘Lava Jet’ inquiry which has been underway in the country for some time,” a spokesperson told insidethegames. “This is also linked to the ongoing investigation by the French prosecutor. “The IOC has been in close contact with the French authorities since the beginning of their investigations into alleged bribery by a company belonging to Papa Massata Diack, son of the President of the IAAF at the time, Lamine Diack. “Papa Massata Diack, the then IAAF marketing adviser never held any position within the IOC and his father lost his IOC honorary membership following actions by the IOC in November 2015. “The IOC is a ‘partie civile’ in the investigation by the French prosecutor, and the IOC’s chief ethics and compliance officer has asked for the IOC to be fully informed in a timely manner of all issues that may refer to Olympic matters.